Welcome to the final Day’s YA post of 2018! Read on for magic, deception, and hot air balloons! And see you all back here in 2019! In order to provide for her chronically ill sister and to escape an abusive thieving brother, Camille uses forbidden magic to transform herself into Cécile Descharlots, Baroness de la Fontaine. As the Baroness, Camille swindles wealthy young Versaille aristocrats out of their precious coins. 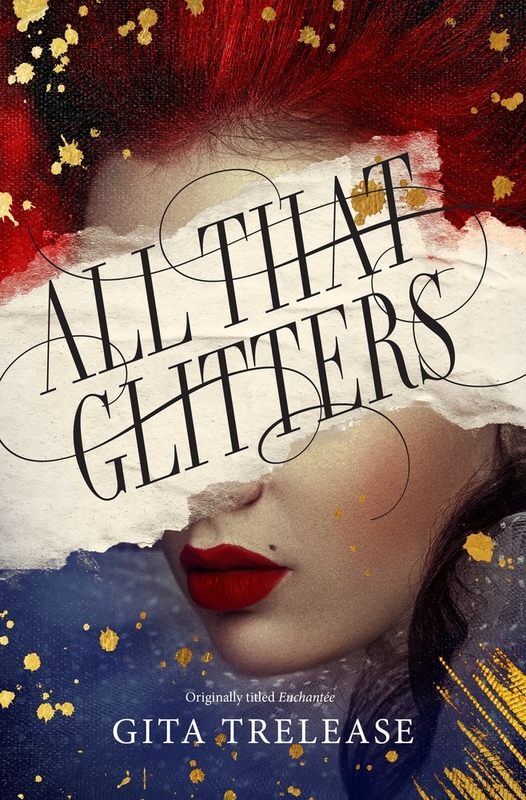 The glamorous palace life and the attention of a handsome hot air balloon inventor are intoxicating—but the line between her two disparate lives begins to blur as the French Revolution ignites around her. ENCHANTÉE is a Cinderella-esque story with more layers than Marie Antoinette’s cakes. The stakes are high, the magic system is unlike that of any other YA fantasy, and the descriptions of Paris and Versailles are simply enchanting. The cast of characters that Camille encounters are equally humorous and maddening, and their obsession for excess and luxury juxtaposes perfectly with the poverty experienced by Camille’s family. Gita Trelease’s YA fantasy debut is lush and imaginative and now you can get a taste of the magic for yourself! Click here to download a free chapter sampler of ENCHANTÉE! Love. Magic. Revolution. It’s CARAVAL in the world of Marie Antoinette! ENCHANTÉE is Gita Trelease’s debut fantasy about an impoverished girl who must use magic to impersonate an aristocrat in Versailles to provide for her sister as her own political awakening forces her to choose sides in the French Revolution.